A nine-year-old Clitheroe boy will be taking part in an open water swim in memory of his granpa. Dylan Whiteley, who attends Edisford Primary, will be swimming 250m in the children’s leg of the Great North Swim next month. Dylan, who attends swimming lessons at Ribblesdale pool every Tuesday, asked mum Nicola if he could take part after watching her take part in the 1 mile event last year. Nicola said: “He loves swimming and asked if he could take part and do it in memory of his granpa and east Lancashire Hospice - the place that looked after him. “My dad, Barry Webb, died in the hospice aged 64 in March 2014. He had been diagnosed with pancreatic cancer. The 250m open water swim – the equivalent to 10 lengths of a standard 25m pool - will take place at lake Windermere on 10 June, and Nicola will be joining her son in the water. 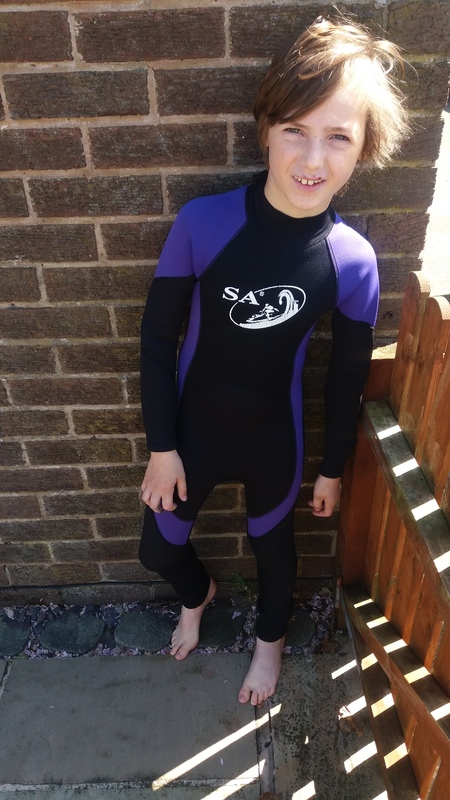 Dylan is hoping to prepare himself for his open water swim at Salford Quays this weekend – after recovering from a sprained thumb – an injury he got from playing football.